Good article. thanks for posting all this subversion and solidarity stuff Mark. Do you mind if I ask where you are getting it from? Are you scanning it yourself from hard copies you have? Were you involved in either of the groups? I was wondering how this co-operative ownership actually turned out for the workers, and it seems like in this instance the results for the affected workers were pretty positive - the mine stayed open until 2008 ( when the mineable coal ran out), making it the last South Wales pit. Although it doesn't say what happened with regard to pay levels/number of jobs etc in the intermediate period. The Solidarity stuff has been scanned from David Goodway's collection of Maurice Brinton stuff, pamphlets borrow off my mate in the commune or ones I have bought myself off the internet. The Subversion stuff is from 'The Second Best of Subversion' which Spikeymike off here gave me a few months ago. 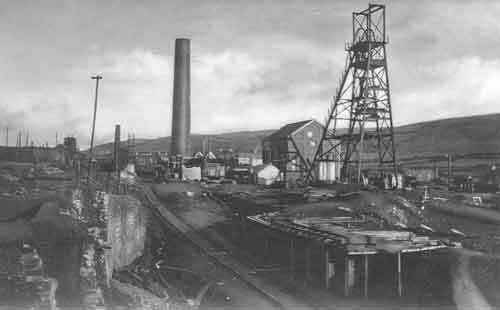 I remember the seeing Tower Colliery on the news when it closed down. There is also more stuff over there which I haven't transferred over yet either due to time reasons or because I didn't think it was that suitable for LibCom. Whilst I have your attention, am I an 'authenticated' member? I have been asked to digitise 'In and Against the State' and I want to put it straight up here as the book feature you have here would be better than putting it on my blog. Also, do you have limits of what can go up? What if I wanted to upload something by Marcel Liebman for example? Well looking back I am particularly proud of this one - short, sharp and to the point and blimey, how relevant to the new Labour/Tory/LibDem consensus now eh! Hope this might also come up on any links relating to our earlier debates on co-ops but the main title doesn't really suggest that. Marky b - I have done typo corrections for prefaces and first two chapters of In and Against the State - will finish uploading this weekend (I figured I may as well coz I know you're busy), hopefully chapters 3 and 4 as well... just need scan of chapter 5. There's also an afterword or something, which we haven't sent you, but hopefully will do soon. posi - Check your email now. There seems to be something that goes wrong sometimes if you try and access these pages via the AF-North site, that's my experience anway. you are right. But I've got all the texts on my PC and will upload them in the coming week or two.